Your headache medications are meant to reduce the frequency and severity of your headaches allowing you to function better and with less pain and disruption to your life. They are not, however, without potential problems and there are various ways you can improve the benefits of your medication while reducing any potentially uncomfortable and dangerous effects. First, skim carefully to get a general sense of what the instructions say. Third, go over any parts that still don't seem clear. If you have any confusion still, you should ask a doctor or pharmacist for clarification. You need to be aware of the common side effects so that you aren't surprised or nervous when they occur. You should also be aware of the more serious ones so that if they do occur, you can see a doctor immediately. You may not experience any side effects or they may be so bothersome as to warrant discontinuation of the drug. Many side effects will ease as you continue to use the headache drug and also as your body adjusts to the dosage. If you find they are bothersome, don't just stop taking the medication; instead, speak to your doctor. Some headache drugs can cause withdrawal symptoms and you may need to slowly taper the dose to prevent side effects. Be aware of any cautions. Some headache drugs can make you quite drowsy, for example, so you shouldn't be driving or doing anything that requires strict concentration. Accidents happen every year from drivers who are operating a car with impaired focusing from medications. Don't be one of those drivers and ask a friend to help you with driving or consider taking the bus. Headache medications can react with certain foods you may be eating so it's important to be aware of those foods that react poorly with your prescription. Try to find alternative food choices if you're frustrated with avoiding a favourite food. Also be aware of 'hidden' ingredients in foods. Some headache medications require that you avoid caffeine and this is present in many foods, from chocolate to colas and coffee. Many people assume that because a headache medication does not require a prescription and is available over the counter, that it is safe and without risks. This is far from the case, particularly as overdoses and major side effects occur each year from over the counter medications misuse. The standards of good practice are the same for all medications, prescription or otherwise: you must read all package materials and follow directions carefully. Headache medications can react poorly with other medications you may be taking but can also react with seemingly benign vitamin, mineral or herbal supplements. Your doctor needs to know about anything else you are taking, however irrelevant to you it may appear. If you can make a list to bring with you, this will help you to keep an organized inventory of everything you are taking and can ensure that you don't miss out any nutritional supplements you use. It is helpful to establish a good relationship with a local pharmacy and it's important to keep communication open and honest. Most pharmacies keep all of your filled out prescriptions on file and it can be helpful when you obtain a new headache prescription to have this information on hand. It's also less stressful when you are comfortable with a pharmacy and don't feel intimidated to ask questions. If in doubt about any aspect of your medication regime, ask questions. If you have to ask several times before you are clear on a confusing aspect of your medication, do it. There are no second chances with regards to some of the more dangerous medication side effects, so a few minutes of your time to inquire is better than risking a potentially disastrous reaction to a headache prescription. Your headache medication is important for treating your pain, but is not without risks and side effects. By taking the time to be clear on how and when to take your headache medication, you can look forward to less pain while minimizing any side effects and problems. Why Don't Doctors Prescribe Ergotamines Now? 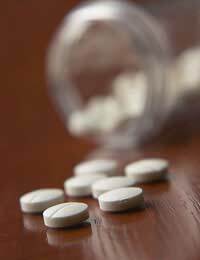 How Do Triptans Treat Migraines? Migraine Patches: Do They Work and Where Do I Get One? Do Headache Remedies Make False Claims?